If you would like to have the Spirit of the Lord with you more often, if you would like to feel closer to your Father in Heaven and have him be closer to you, you'll appreciate the insights and messages in this collection of inspiring discourses. *Please Note: Audiobook CD & MP3 formats are abridged. So much depth, so much insight. I love President Eyring all the more because I could feel what he has gone through to be able to write such a book. By following the counsel given in these discourses, everyone can draw closer to God. President Eyring shares person experiences and sage advise which we should all follow. This is not a book of commandments but rather a testimonial on how he himself has grown closer to God. Humbly written and expertly delivered, this one is not to be missed. Audio CD/mp3 version is abridged. This review refers only to the book on CD (which I downloaded in mp3 format). As of 5-22-15, the product description does not mention that the audio version contains only 10 out of 15 chapters. Chapters 1, 2, 4, 6, 7, 8, 10, 11, 13, and 15 are included. Chapters 3, 5, 9, 12, and 14 are omitted. And in case anyone is hoping the audio version might be the full-length, live talks on which the book is based, it is not. This is the book read by the author, which is fine. I just wish all chapters were included. President Eyring is one of my favorite speakers, and I would give the unabridged content 5 stars, but I'm abridging my rating for the audio version by a third to 3.33. I loved this book just like all of the others reviews. I ended up buying several for the families that I home teach. The highlights per page is a new record for anything I've read in years. Incredible lessons in this book. President Eyring is rapidly becoming one of my favorite authors. Elder Eyring’s book To Draw Closer to God is a beautiful collection of discourses that he has presented at different times in his life. 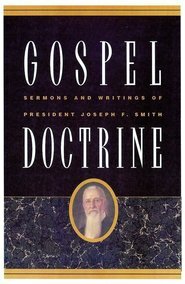 He divides the book into three different parts: “Hearing”, “Heeding”, and “Helping Others Draw Closer to God.” The sections are helpful as he first teaches you how to listen for the Lord’s voice, then teaches you the importance of heading the spirit, and then finishes by teaching you how to bless other’s lives by helping them draw closer to God. The biggest strength to this book is that he provides life examples that are easily understandable and quite relatable. As I have read this book, I have realized that Elder Eyring really knows what it is like to be a child of God on the earth and teaches how he has grown in the gospel throughout his life. He informs us that you don’t have to be doing something remarkable to feel the spirit, “I notice the Spirit’s presence in quiet confirmations at times when all I seem to have done is plod on in diligence, doing the simple things.” I love that he shares small things that we can do to draw closer to God. This was a book that inspired me every time I picked it up and read it. Each discourse is replete with stories, quotes, and scriptures that were all edifying. My testimony was strengthened as I read his testimony of Christ and the Atonement, and I wanted to be better. Not only was it spiritually satisfying, but it was also an enjoyable book to sit down and read. I would recommend this book if you are looking for the next push in your life. In every discourse you can find the little part that is catered exactly to you and your life. Henry B. Eyring’s book To Draw Closer to God is a great book. This book addresses simple things that we can do personally to draw closer to God. He Introduces each main topic he feels will help us draw closer to God and teaches about that principle. When talking about each principle he brings in stories and experience that have helped me to be able to relate more and be able to see more how that principle can be applied in my life. As he shares these principles, the stories, scriptures, and other sources he uses to teach, he really helps you to see specific things that you can work on. An example of the way he teaches is shown when he is talking about hearing the Lords voice, He says, ”Your problem and mine is not to get God to speak to us; few of us have reached the point where he has been compelled to turn away from us. Our problem is to hear.” Henry B. Eyring shares the problem or principle we need to work on and addresses it. He writes in a way that shows you how he learned each principle and gives examples of what helped him to really internalize them. I felt this book was very well made to achieve its purpose. The format of this book makes it so easy to read and helps you to focus on one main point at a time. This helped me to be able to understand more and get more out of each section. Another great strength of this book is its simplicity. Not only does the books set-up help in understanding, but the way the book is written allows you to read as in depth as you would like, making it enjoyable for anyone. This book contains so many good lessons for all, but is also enjoyable to read. I would recommend this book to anyone who wants to learn more about himself or herself and wants to grow. All who read will find something they like or some story he shares that they can relate to. Between the experiences and lessons he shares all will find a connection to something he teaches. It is a good book to read. Rarely have I better invested $7.99 than in buying this book. Each discourse makes me pause and think about how much it applies to me and what actions I need to start taking. I don't usually highlight books other than scripture, but I'm going to head back through this one soon. Elder Eyring is such a humble teacher. I love the examples he uses to teach how to draw closer to God--to truly listen to the Spirit--to be humble and teachable. I love this little book that I can carry anywhere. So many gospels truths, plain and simple to read yet touch you and inspire you to press on. Wonderful words that speak to you to start where you are, improve yourself each day, and to know that you are loved and not alone. Excellent for anyone needing a spiritual hug. Elder Eyring has a gift for sharing Gospel truths in a way that speaks to the heart of every listener. He has so much to teach us, and this book is a brilliant place to start. This is a great read that can be studied in depth or taken in on a long day of reading on a Sunday. I loved this book. There are many simple, wise truths a person can do to continually draw closer to God. Elder Eyring uses such clear and direct language, too. I've recommended it to several people! This is one of the greatest books I have ever had the pleasure of reading. I want to do more, be better, live in a more pure manner. Words cannot describe how much comfort it is to listen to the President Eyring speak his powerful message. There is truly something about the quality of his voice when he delivers the truth that strikes to the very core of the soul. While I highly enjoyed reading this book, it is infinitely better hearing him do so. I love this book- I keep a paperback copy in my purse, so I can have a thought to share at any time, or when I get caught in a line or some other place I can read it. I read and share a thought from this book often. Eyring's thoughts help me to increase my desire to listen and to do what the gospel say. This book helps all my meeting to be more life changing and I need that. Thanks! I thought this book was very inspiring, and enjoyable to read! One of the greatest books. 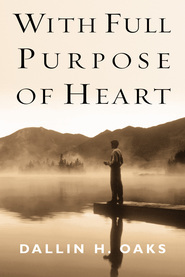 I have read hundreds of LDS books dealing with a myriad of different subjects, but this particular book is literally one of the greatest I have ever read. I listened to the book on tape while I worked and found I had to keep stopping to take notes. Elder Eyring's definition of a trial, and how to know when we've been forgiven were especially helpful.